Evan Blewett is an associate who focuses his practice on a variety of practice areas related to real estate transactions, commercial litigation and corporate compliance. His practice spans both transactional and litigation work involving representation of corporate clients with an emphasis on regional and national banks. Evan’s expansive practice gives him the unique ability to help clients anticipate potential litigation pitfalls at the transactional level, while at the same time acting as a well-informed and passionate advocate when litigation is unavoidable. Additionally, Evan draws on his extensive background in statutory and regulatory compliance to help his clients conduct compliance review and prophylactic research to anticipate and react to changes in the law. Using a unique perspective stemming from his experiences, Evan helps his clients address even the most complex state and federal compliance issues. These experiences include working in the Office of Small and Disadvantaged Business Utilization at the U.S. Department of Transportation in Washington D.C and later at DePaul University, ensuring compliance with state laws and regulations for the Educational Leadership Program. 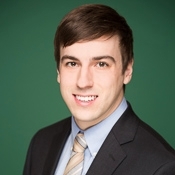 In addition, Evan has firsthand experience helping clients create or modify their practices and procedures to ensure compliance with local, state, and federal laws such as FDCPA, TILA, ECOA, FCRA, SCRA, FCPA, HIPAA, ERISA, ADA, FLSA, FMLA, CAN-SPAM and others. As demonstrated by his academic accolades, Evan dedicates the time and energy needed to fully understand his clients’ unique legal needs. He values the development of meaningful professional and personal relationships to further his goal of ensuring them meaningful and lasting results. While in law school, Evan was a law clerk with Chuhak & Tecson for two years. His decision to join the firm is largely due to what he values most—interdisciplinary collaboration among the attorneys who practice in distinct, yet often interrelated, practice areas. He contributed to the development of his fellow attorneys as a past member of the firm’s Professional Education Committee and now as a member of the Technology Committee. Outside the office, Evan enjoys spending his time traveling internationally and attending live musical performances from a diverse set of genres.